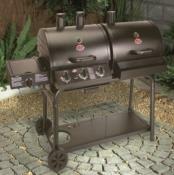 The barbecues are delivered in component parts, which are simply glued together with a special adhesive. Mortar and paint are not needed. 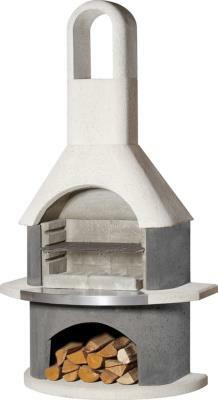 Please note: The Landmann Selarno BBQ and Callow BBQ's are not supplied with mortar or white paint. 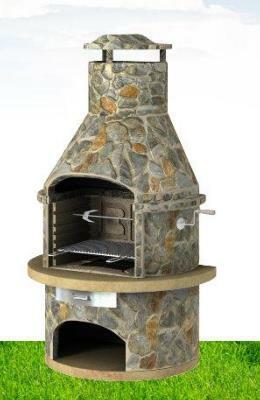 Outdoor barbecues and Masonry Barbecue Accessories Bargain Masonry BBQ easy to assemble masonry stone barbecues. 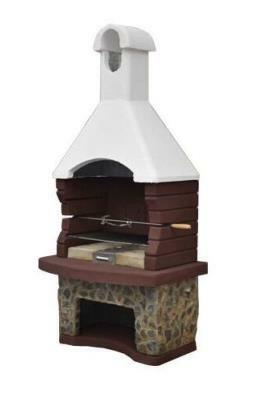 Buschbeck masonry barbeques now available. 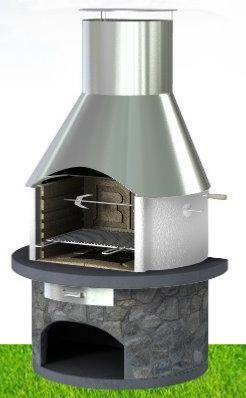 Buschbeck BBQ's are made in Germany and are excellent for a log fire after your BBQ to help you stay outside for longer. 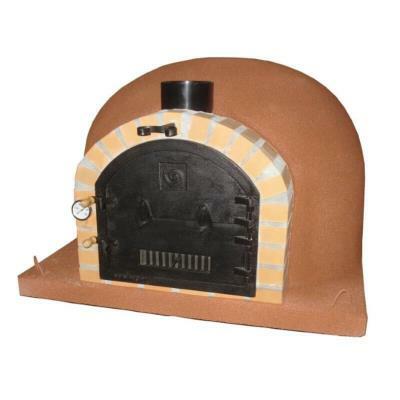 If your looking for replacement grills or covers have a look at our range of Masonry Barbecue Accessories. 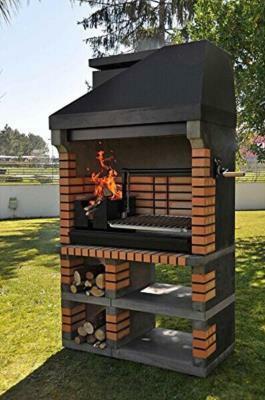 The Ultimate in Wood BBQ Grilling. 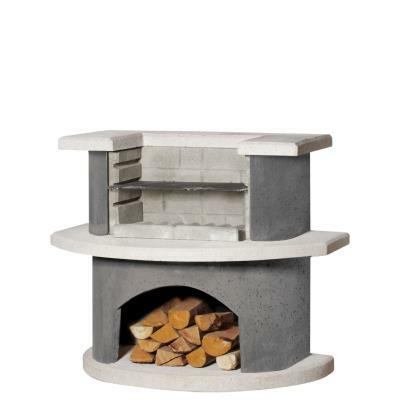 The Buschbeck Carmen barbecue fireplace with side table is ideal if you need extra workspace. This design will conjure up a holiday atmosphere in any garden setting. 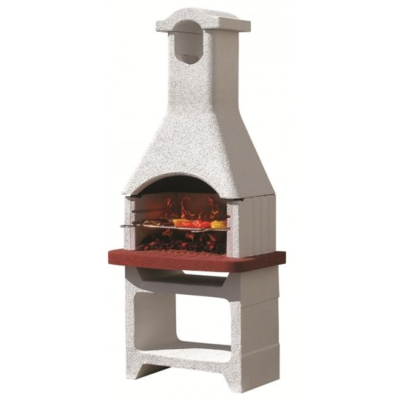 The natural grey in the main body of the barbecue is nicely complimented by the attractive terracotta base and mantle piece. Buschbeck carmen masonry BBQ with side table. Delivery Usually 7 to 14 Days. 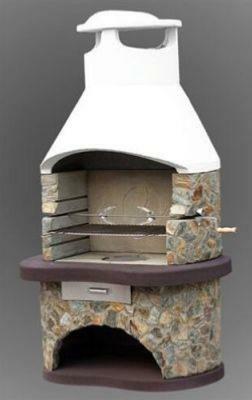 It can be equipped with the whole range of barbecue accessories such its very own smokehouse or pizza oven - which is what makes Rondo the most luxurious Masonry BBQ. The Tampere Masonry BBQ is finished in a beautiful light slate. 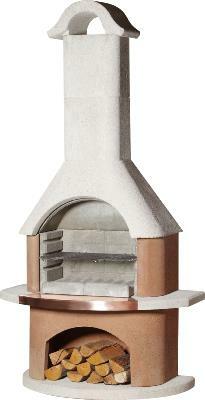 Built with quality materials and a great design. 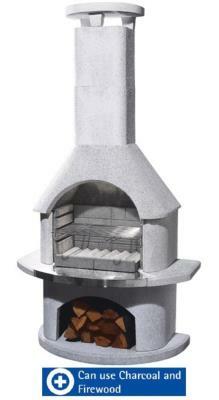 Attractive feature for the garden and an efficient BBQ great for large parties. 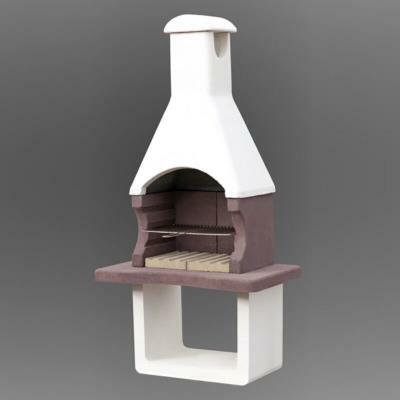 Grey masonry barbecue with terracotta worktop. 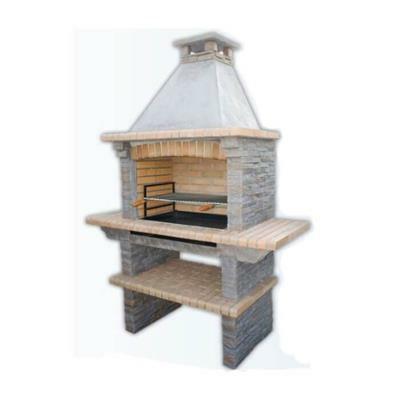 High quality Barbeque which is ideal for any Garden. 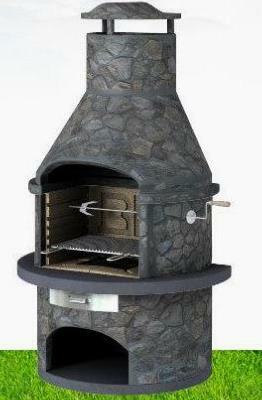 The BBQ has an oval shape and is built of Slate to ensure durability. 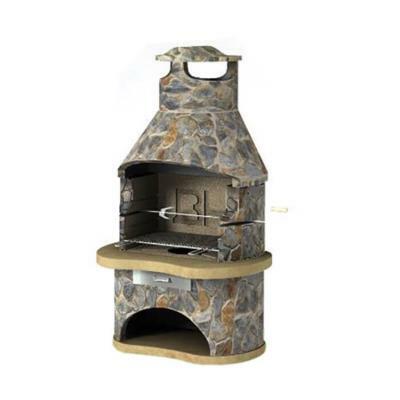 The BBQ comes with a cooking grill and fire tray, as well as building instructions. 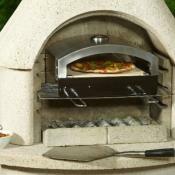 Rondo Light Slate Masonry BBQ. With an extremely large capacity to cater for large parties or family occasions. 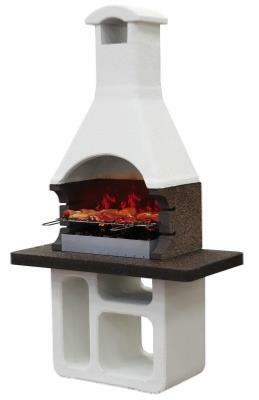 The Rondo barbecue has been manufactured using strong and durable high quality. 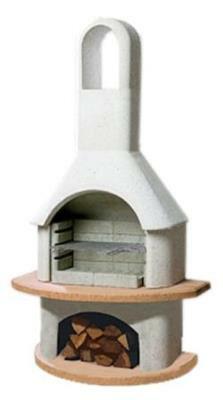 A stainless steel manual rotisserie is provided as standard. 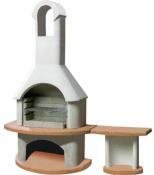 Includes Grill and Fire tray and instructions. 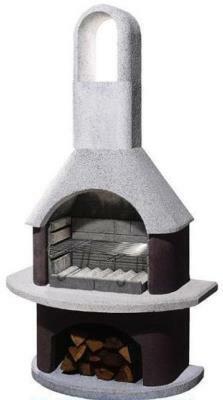 Rondo dark slate masonry BBQ. 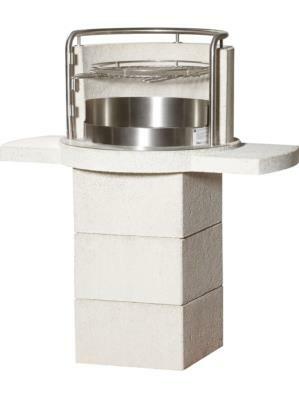 Pure white quartz upper structure surface together with the brown combustion chamber and wood compartment create a beautiful contrast in the Buschbeck Milano masonry barbecue fireplace. For cooking the Milano has three adjustable cooking heights and comes with a heavy duty chrome grill with plenty of space to grill on. Free Delivery Delivery Usually 7 to 14 Days. 304 medical grade stainless steel fittings including a swing out cooking grill. Stock Delivery Usually 7 to 14 Days. This particular model is new to the UK for 2017.